The Doe Run Company's two mine rescue teams recently earned the highest honors at competitive mine rescue contests. The Doe Run Company's (Doe Run) two mine rescue teams recently earned the highest honors at competitive mine rescue contests. The Gray Team won the overall championship at the Northern Regional Mine Rescue Contest. The event, which took place from June 5 to 9 in Clymer, New York, consisted of various competitions that tested eight mine rescue teams’ abilities to handle emergency situations underground. In addition to winning the Northern Regional overall champion title, Doe Run’s Gray Team won the first aid competition, which consisted of a CPR and first-responder scenario. The team finished in second place in the field competition, which measures how well team members adhere to mine rescue procedures during a simulated mine emergency. The Gray Team also earned third place in the team technical test, which measures participants’ expertise in operating breathing apparatuses and gas-level monitoring. Another Doe Run mine rescue team, the Maroon Team, won the overall championship at the Colorado Regional Mine Rescue Contest, which took place from June 26 to 29 in Lakewood, Colorado. The Maroon Team also finished in first place in the mine rescue competition and in third place in the first aid competition. Current members of Doe Run’s Gray Team include: Chris Brawley, James Gamblin, Randy Hill, Dennis Keene, Wayne Marlin, Garry Moore, Robby Vetter, Jake Vogel, Charlie Walker and Nathan Woods. The Maroon Team includes: Steve Setzer, Andrew Hampton, Isaiah Henseler, Jarred Tackett, Richie Brewer, Jake Piatt, Nathan Setzer, Luke Davis, Mark Barton and Branden Roderman. Doe Run’s mine rescue teams participate in voluntary training for at least eight hours per month and compete in mine rescue competitions annually. The teams consistently place near the top at regional and national mine rescue competitions, and have successfully applied these skills in real emergencies. Doe Run mine rescuers Andrew Hampton, Randy Hill, Wayne Marlin and Steve Setzer, along with former members Brad Beck and Shawn Pratt, received a Certificate of Honor from Washington D.C. at the Joseph A. Holmes Safety Association annual meeting for their exceptional work during a real emergency that occurred in 2010. After a truck fire broke out in the No. 29 Mine, Doe Run evacuated workers and activated its skilled mine rescue teams, who handled the situation. 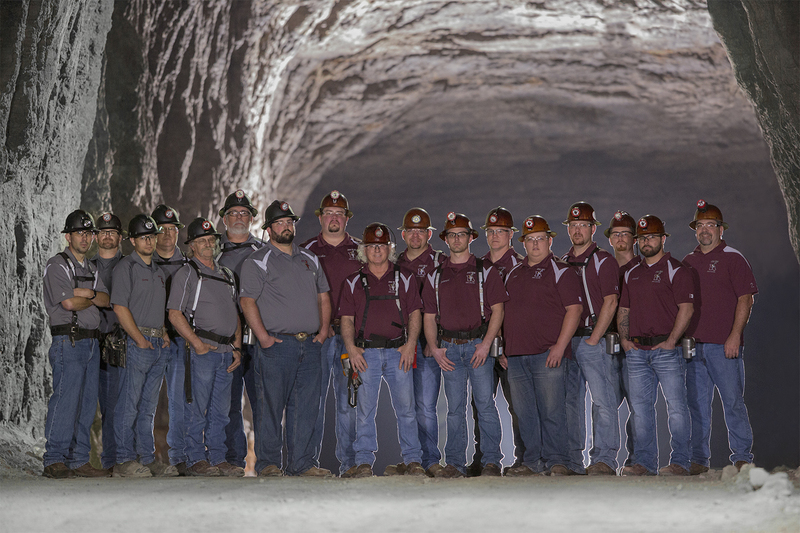 Doe Run’s underground lead mines in Missouri’s Viburnum Trend have earned the National Mining Association’s prestigious Sentinels of Safety Award 27 times since 1971. All new mining employees undergo 40 hours of in-depth safety training prior to working in the mines. Companywide, Doe Run employees go through more than 15,000 hours of safety training annually. Based in St. Louis, Missouri, USA, The Doe Run Company is a privately held natural resources company and a global provider of lead, copper and zinc concentrates. Dedicated to environmentally responsible mineral and metal production, Doe Run operates one of the world’s largest, single-site lead recycling centers, located in Boss, Missouri, and mines from one of the world’s largest lead mining districts, also in Missouri. The Doe Run Company and its subsidiaries deliver products and services necessary to provide power, protection and convenience. Doe Run has operations in Missouri, Washington and Arizona. For more information, visit http://www.doerun.com and http://sustainability.doerun.com. Editor’s note: A photo of members of the Maroon Team and Gray Team is available for use. Please provide photo credit to Randall Hyman.